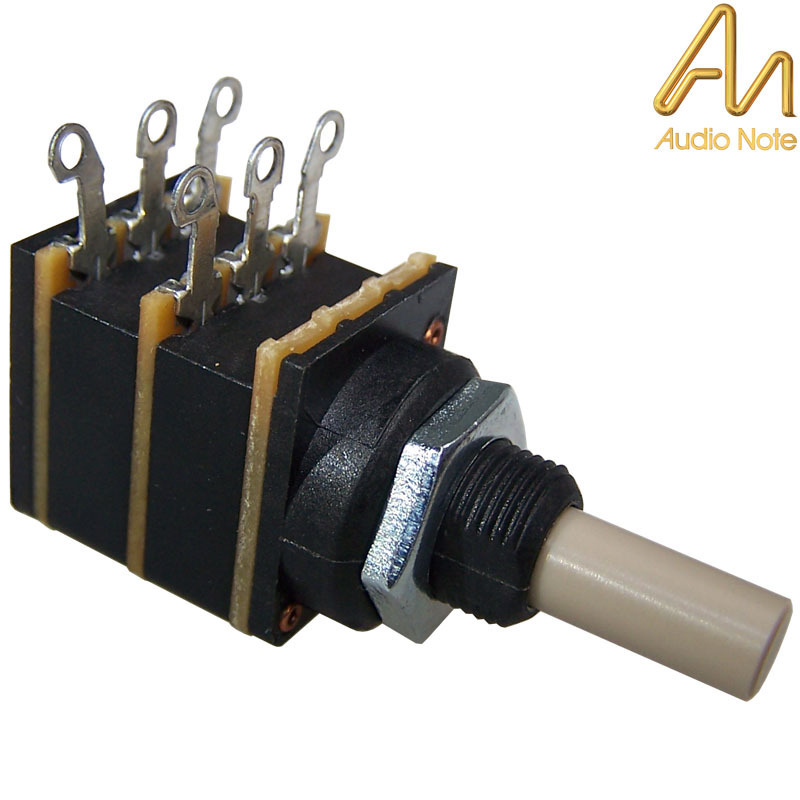 Noble potentiometers were fitted as standard in Audio Note product. Nowadays Noble pots are incredibly hard to source so AN have started manufacturing their own high quality potentiometers to rival the Nobles. Here we have the 100K stereo log potentiometer, offering amazing quality. This is version 2 now with solder tag connections and an improved thicker track. Fully encapsulated. chassis hole size dia. 10mm, shaft dia. 6mm, shaft length 12mm, bush height 8mm, body, 25mm(d) x 20mm(h) + tag height 8mm, can be bent if needed x 17mm(w), 1 nuts provided. New version now in stock with military spec shaft.